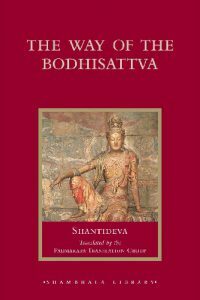 At the heart of the world wisdom traditions are books that distill the essence of the teachings of the masters down through the ages. Many have no authors, some are compilations over long periods of time, others reflect teachings of masters who themselves never wrote a word. Socrates and Jesus never wrote any books, for instance, but Plato wrote his Dialogues recalling his memory of what Socrates said and the Gospels recount the life of Jesus many decades after Jesus had gone. Other books have legendary authors but appear to be compilations heavily redacted over many centuries. 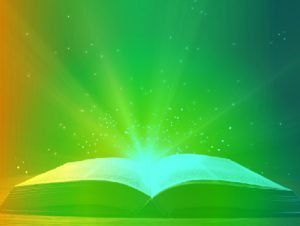 Some books are considered “God’s word” such as the Bible or the Koran and have endured for millennia inspiring countless millions of believers. Others remain obscure and speak deeply symbolic truths hidden within the layers of the language in the text itself. Still others express the essence of a tribal tradition on the brink of extinction and are valued for what is on the verge of being lost. Great books continue to be written by individuals alive today. The course is presented as a live webinar on the second Tuesday of each month, at 8:00 am Pacific time for 90 minutes. The webinars are recorded and accessed on this page for those who cannot make the sessions. Watch Great Books Webinars from past years. Faculty: Each year, Dr. Garrison and Dr. Gyorgyi Szabo will choose six books they consider “great” and will examine each one, sometimes in dialogue with a specialist. This year they are joined by guest faculty, Andrew Harvey, PhD (Hons) and Caroline Myss, PhD. Plutarch, living in the second century in Greece, was one of the world’s first biographers. 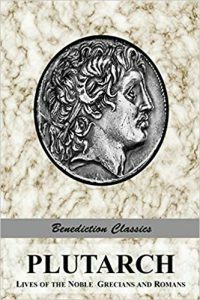 In his Lives of Noble Greeks and Romans, he wrote short parallel biographies of the great personages of Greece and Rome. In these lectures, Dr. Garrison will present the lives of Romulus, founder of Rome, and Theseus, founder of Athens. These two men founded cities that shaped western civilization so profoundly that they are celebrated even to the present day. The questions we will ponder concern whether history shapes the individual or does the individual shape history? Is there a hidden spirit that guides greatness as it is formed through circumstance? Are great individuals predestined? Are they aberrations? What is the essence of genius? To read this book is to transcend ordinary levels of perception, to become aware of a more intense level of being. 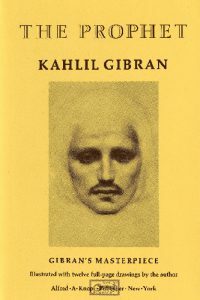 Bidding farewell to the land that has been his home for many years, Kahlil Gibran’s Prophet is asked to speak to the people he has to leave behind. 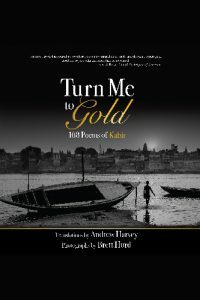 Answering their questions on subjects such as love and marriage, work and play, possessions and crime, death and beauty, eating and drinking, he provides a beautiful insight into living a life shaped by tolerance, warmth and love. Translated into more than twenty languages, The Prophet is a treasury of counsel on human life, uplifting spirits and giving joy to millions around the world. Caroline Myss, PhD on Alice in Wonderland. Alice in Wonderland is one of the great classics of modern literature, at once a fabulous children’s story, philosophical exposition, and spiritual guide. 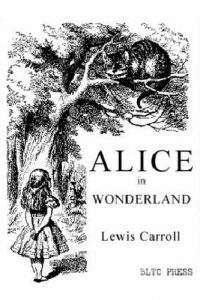 The author, Lewis Carroll, spins a tale of a young girl named Alice who falls down a rabbit hole into a fantasy world of weird and wonderful creatures. The story is at one level a story of comic adventure and misadventure but it also plays with logic and is one of the best examples of nonsense genre. It was considered an instant classic whose popularity endures to the present day. 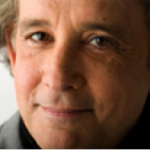 Dr. Myss, one of the great spiritual teachers of our time, will explore Alice in Wonderland as a spiritual guide in a time such as ours of darkness and discontinuity when things no longer are like they seem. – Reflect upon the challenges framed by authors in ancient times in terms of current global crises. – Grapple with deep issues common to all humanity through discussion, web forum postings, and paper assignments. 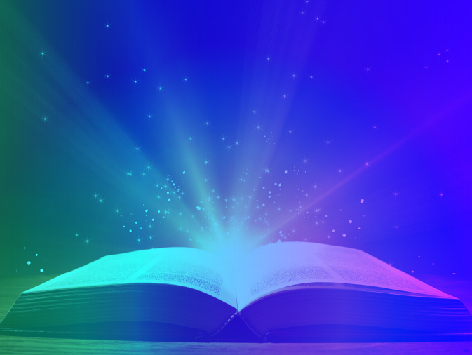 – Compare the major themes of the books studied. Great Books come in all sizes and shapes. Some are ancient, some contemporary. 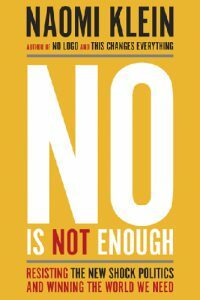 Naomi Klein’s No is Not Enough is great simply because it explains deeply and without equivocation something all of us are seeking to understand—the rise and power of Donald Trump—a man who feeds on and foments racism, sexism, xenophobia, incivility, hatred and division, and who, like Hitler and Goebbels, understands the effectiveness of the “Big Lie.” Klein shows that Trump is not so much an aberration as a symptom of the corruption of US politics and the economics of what she calls “Shock Capitalism.” “Simply saying No to this is not enough,” she writes, and lays out the strategy for coping and survival for those still clinging to civility, tolerance, truth and human well-being. Around your neck, Pulling it every day. Tighter, tighter. Jim Garrison, PhD is the CEO of Ubiquity University. He has been studying great books since childhood as the son of missionaries to China and Taiwan where he was able to delve into eastern spirituality, particularly Buddhism and Taoism. His double Masters degree in the History of Religion and Christology at Harvard University and his doctorate on a Jungian analysis of ancient Judeo-Christian apocalyptic literature at Cambridge University enabled him to study texts across the spectrum of Axial religions and wisdom traditions. He has spent a lifetime studying great books from east and west, both ancient and modern, sacred and secular. Caroline Myss, PhD is an internationally renowned pioneer in the field of medical intuition and a New York Timesbest-selling author of many books, including Anatomy of the Spirit; Why People Don’t Heal and How They Can; Sacred Contracts; Invisible Acts of Power;and her most recent, Entering the Castle.She has produced more than 30 recorded titles for Sounds True and has taught in 35 countries. 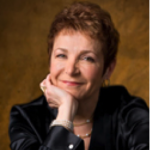 In 2003, Caroline established her educational institute, Caroline Myss Education, dedicated to creating educational programs in the fields of human consciousness, spirituality, mysticism, health, energy medicine, and medical intuition. Gyorgyi Szabo, PhD is the Dean of Graduate Students & Director of Research at Ubiquity University. She was a Co-Founder and Academic Dean of the ‘Ervin Laszlo Center for Advanced Study’ (ELCAS). Since childhood, she has been and still is an avid reader. Having been born and brought up in Hungary, her reading was limited to mostly European and Russian literature due to the restrictions of the communist regime. In her early twenties, she took off to discover the world and since then has visited over sixty countries and lived in six different ones. Her BA degree at the University of London was centered on Politics, History and Philosophy, her Masters degree at Trinity St David University focused on Buddhism, Hinduism and Daoism, and her doctorate at the Sorbonne, Paris, on the Evolution of Complex Systems – from Systems Sciences to the Universal Information Field. As a Buddhist practitioner herself, Gyorgyi is a keen explorer of all wisdom traditions.